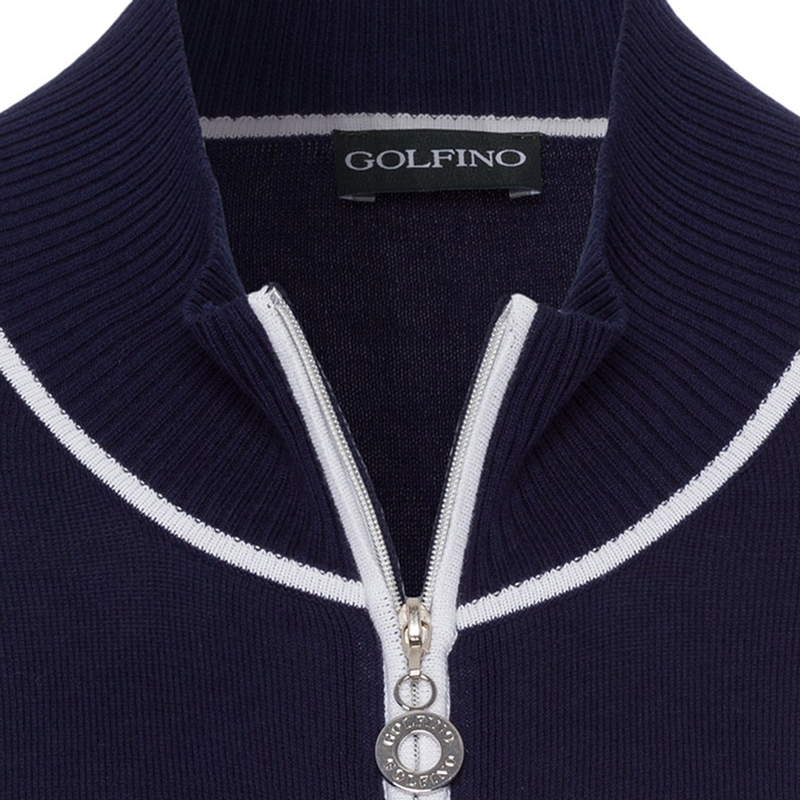 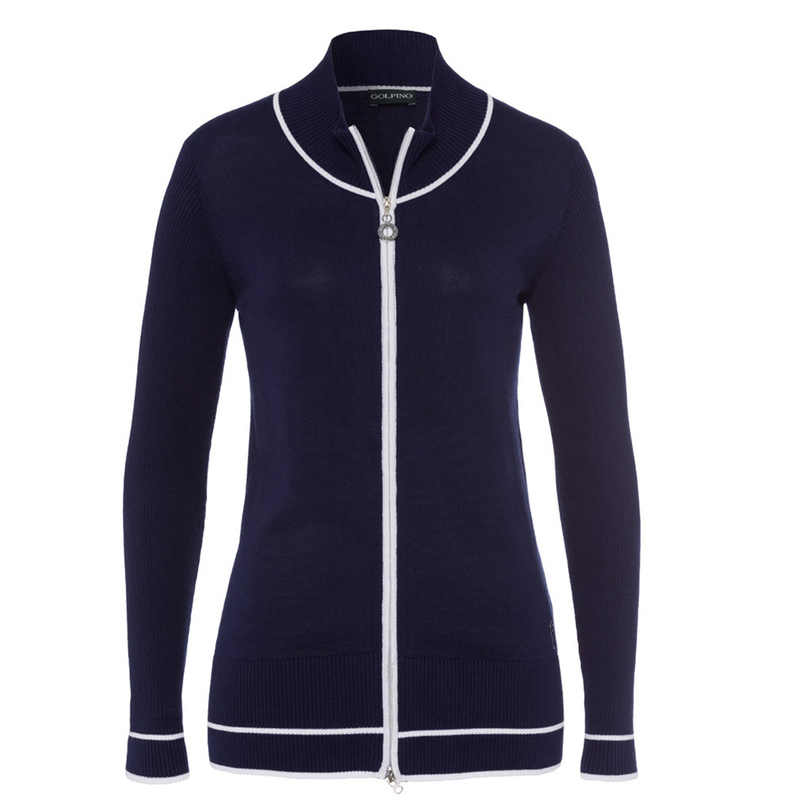 Keep warm and comfortable, with this soft knitted mid-layer garment from GOLFINO. 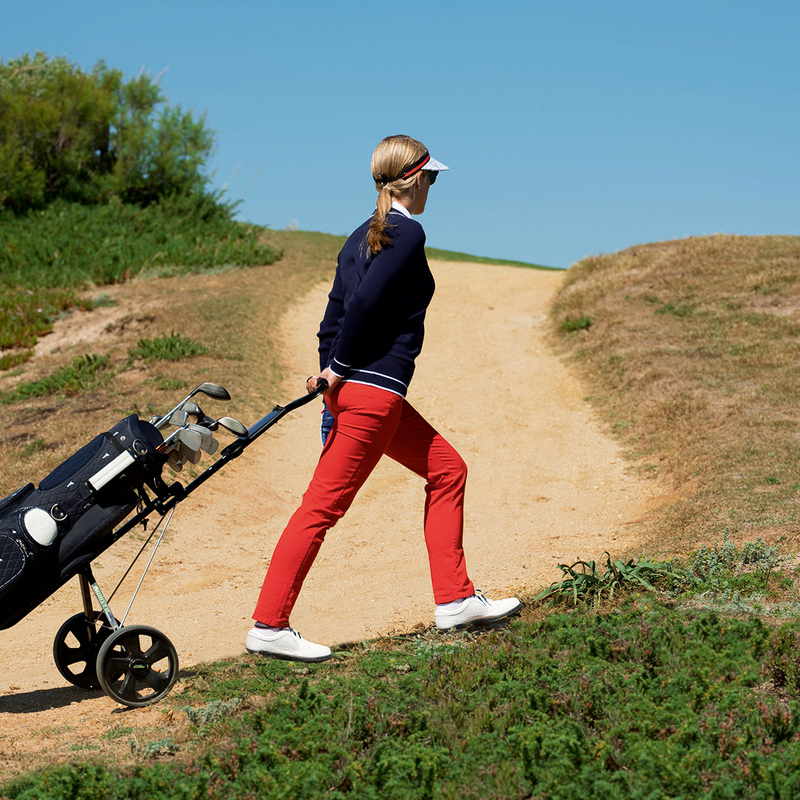 Constructed with high quality material and an attention to detail, for long lasting comfort both on and off the golf course. 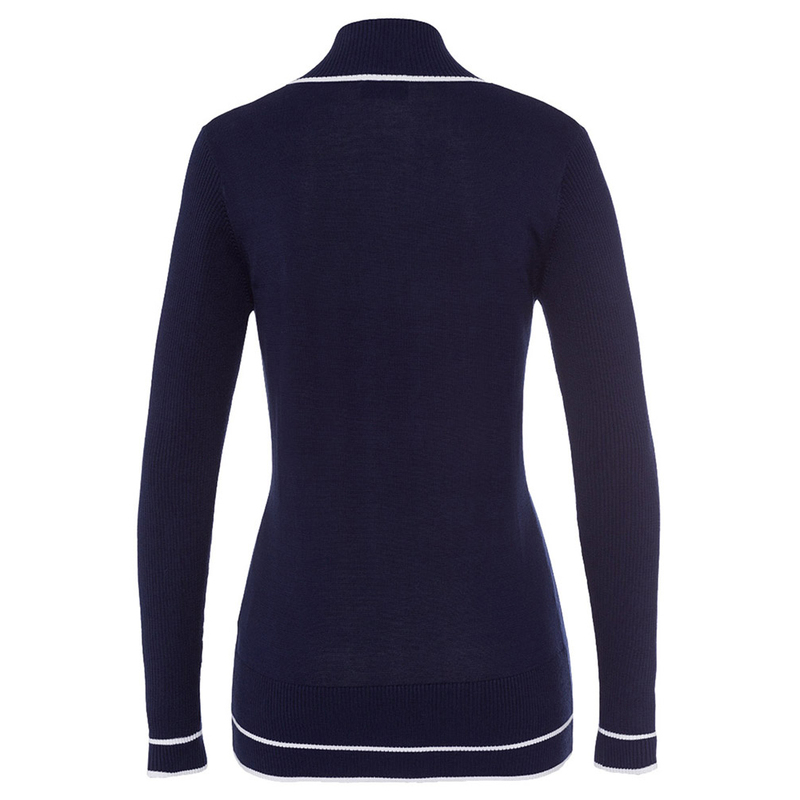 The design is highlighted with contrast colour stripe details, has ribbed sleeves, and has a front zip opening with silver zip pull.